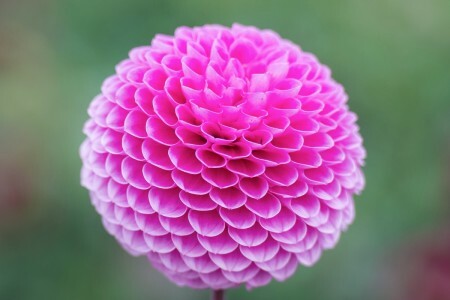 Plants from the Dahlia Collection are now available in 11cm pots. They can be found on the sale benches in our Seasonal Bedding Greenhouses, alongside our Geraniums, Fuchsias and Hanging Basket plants. In late June larger developed plants in selected varieties will be available, these will make an excellent filler for the garden border. We currently have over 50 varieties for sale and you can read more about the Dahlias here. Please call us on 01727 82255 to check availability before you visit if there are particular varieties you are hoping to purchase. In 2015 Mrs Aylett created a special Celebration Garden to demonstrate just how versatile and valuable Dahlias can be when planted in a garden. The traditional A-Z format of the Dahlias will be planted in early June and we always hope to see the first of the flowers during early August. It is always interesting to see how the plants develop and during the growing season our Dahlia experts are usually on hand in the field to answer any questions. A walk around the Celebration Garden can be enjoyed at any time of the year although it reaches its peak of performance around the time of our annual Autumn Festival which will take place from 9th-17th September this year. We have created a wild flower border at the bottom of the garden, complete with it’s own Insect Hotel and it becomes a hive of activity during the summer months with insects, bees and butterflies enjoying the nectar. We hope you will have an opportunity to visit us soon and do take the time to enjoy the Celebration Garden too! Next Post: Getting children into the garden!